After a spinal cord injury, young adults may feel they have fewer opportunities to participate in family functions, social life, and recreation. Here at Magee, we want to change that. The SCI Young Adult Group was developed to give young adults their social and recreational life back. With continued exposure to the community at a wheelchair level, the hope is that members’ anxiety will decrease, replaced by feelings of independence and self-advocacy. 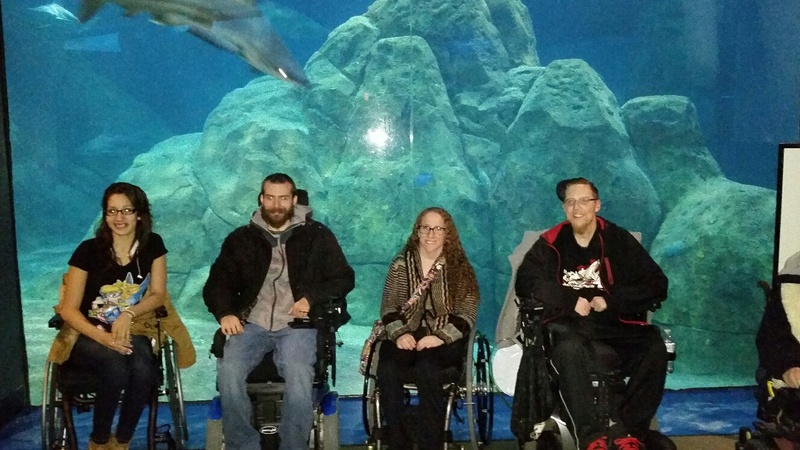 The group is open to anyone with a spinal cord injury, ages 18 to 26. Members provide each other with feedback, personal experiences, and support. Bi-monthly meeting are held at Magee Riverfront Outpatient Center in South Philadelphia. Opposite monthly meetings are planned community outings or social events. We’ve been surfing in Wildwood, cheering at Phillies and Eagles games, exploring the Art Museum and Adventure Aquarium, and much more! A private Facebook group called SCI Young Adults allows for communication among members, plus meeting and event updates. All outings are planned and discussed by group members, with some assistance from group facilitators. Most of the group’s costs are funded by the Widener Memorial Foundation. The SCI Young Adult Group has had 18 members in its first year, and we hope to keep growing! Our goal is to reach as many young adults with spinal cord injuries as possible, who are looking for a way back. To learn more about Magee’s SCI Young Adult Group, please contact me at 215-218-3912 or jrudi@mageerehab.org.